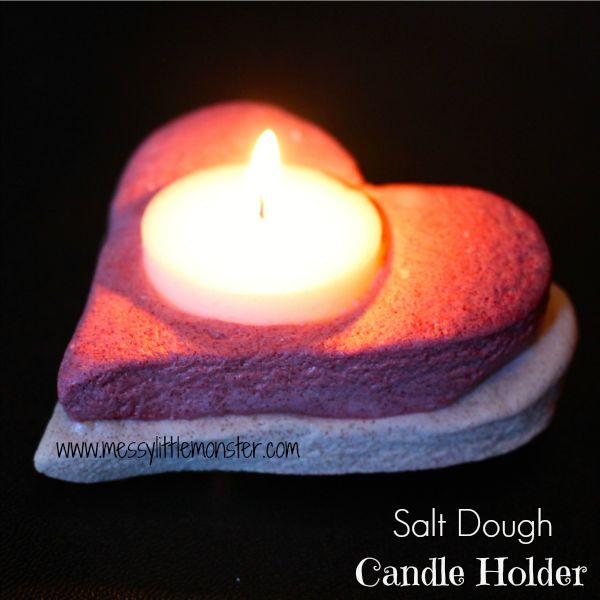 We love salt dough crafts and this salt dough candle is no exception! Follow our coloured salt dough recipe to make one of your own, they are easy enough for preschoolers to make with help and older kids to make independently! 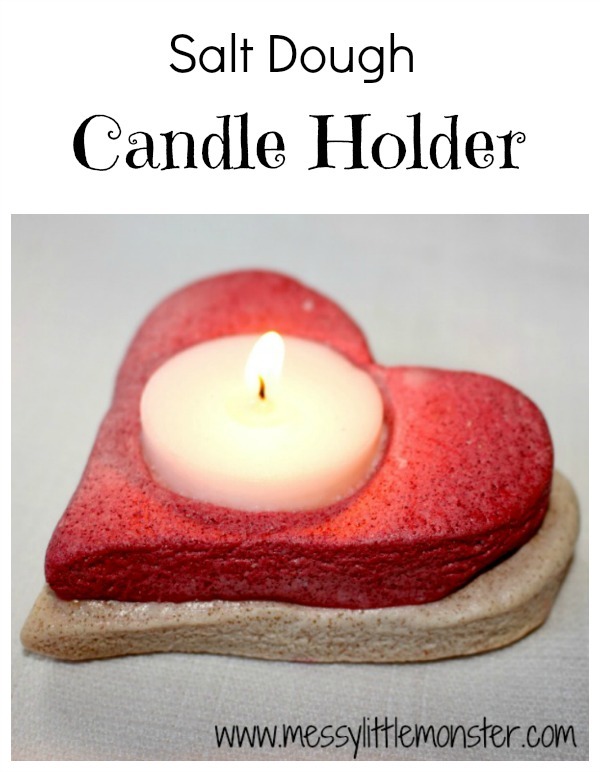 A heart candle holder would make a perfect DIY gift idea for someone special, maybe for Valentine's Day or Mothers day. 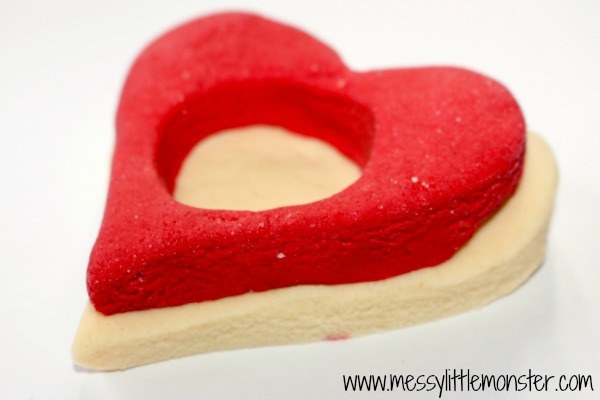 We have made so many adorable keepsakes and gifts from salt dough over the years. 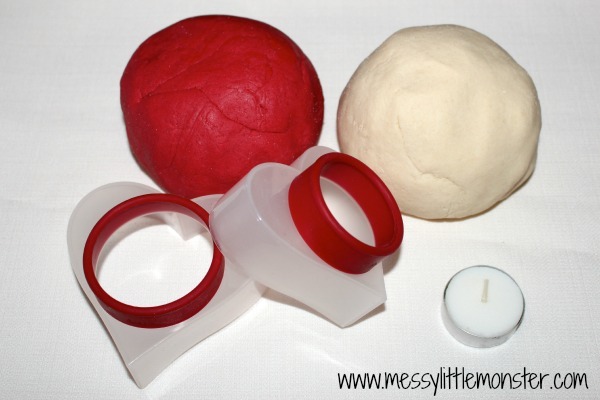 Do take a look at our salt dough recipe and craft ideas. 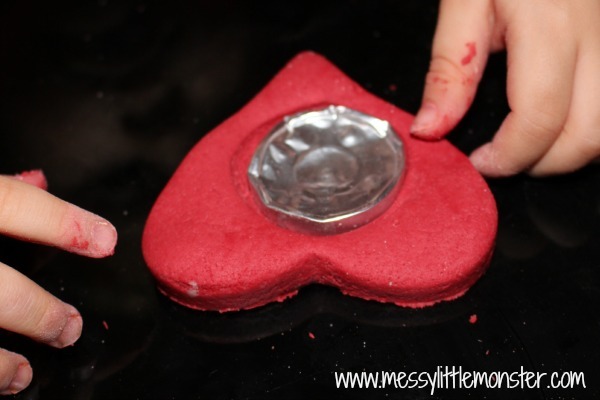 Roll out your salt dough and use the heart cutters to make 2 different sized heart shapes. We made the red one smaller than the natural coloured one. Press the silver case from the candle into the smaller heart to make a hole in the middle. Place the smaller heart on top of the bigger one and press it down gently. Put the salt dough candle holder into the oven to dry it out at 150 degrees for a few hours or leave it in a warm room for a couple of days. TIP: If you are drying your candle holder in the oven make the hole for the candle slightly bigger if you can as ours shrunk a tiny bit as it dried (which is why the candle was taken out of the silver case). If you are air drying it you shouldn't have this problem. Seal and varnish the candle holder. We use Mod Podge all in one sealer glue and finish (UK link) (US link) to varnish our salt dough but you could use PVA glue. Once the varnish has dried pop your candle in. I think they look beautiful when they are lit. What do you think? 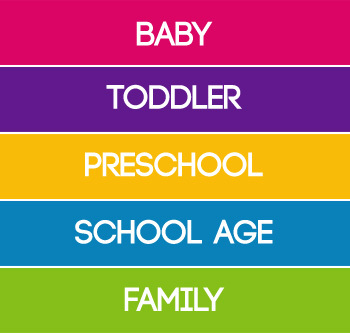 Take a look at all these heart crafts and activities. 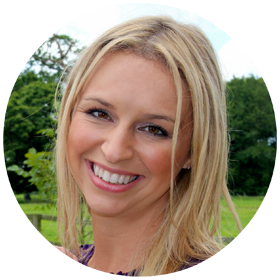 Another lovely gift idea! Thanks for sharing! !